This place is just around the corner from my office. I have to admit, I’ve been once before, but I was terribly hungover and didn’t take any pictures. So with Alex on half-term, I decided to pay it another visit. 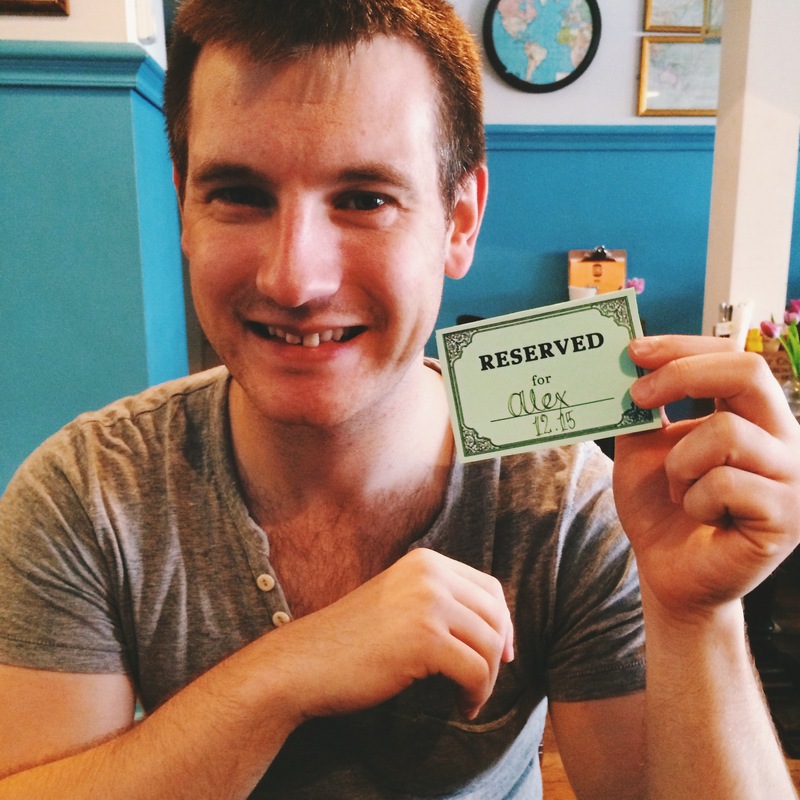 Alex even booked a table! 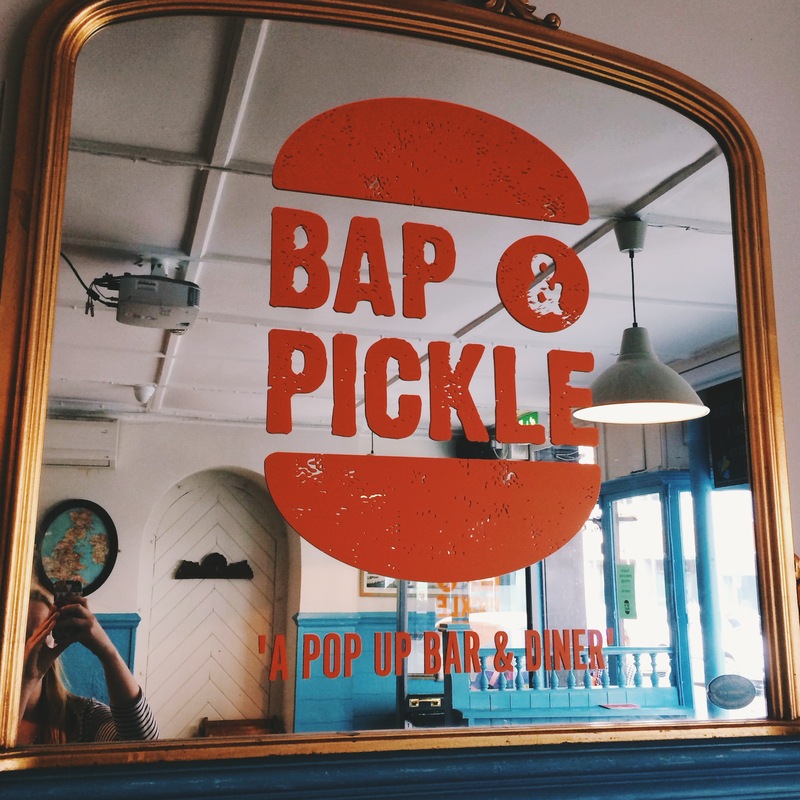 Bap & Pickle is a pop-up (I know, I know) based in a pub on Warren Street, which is handily round the corner from my office. 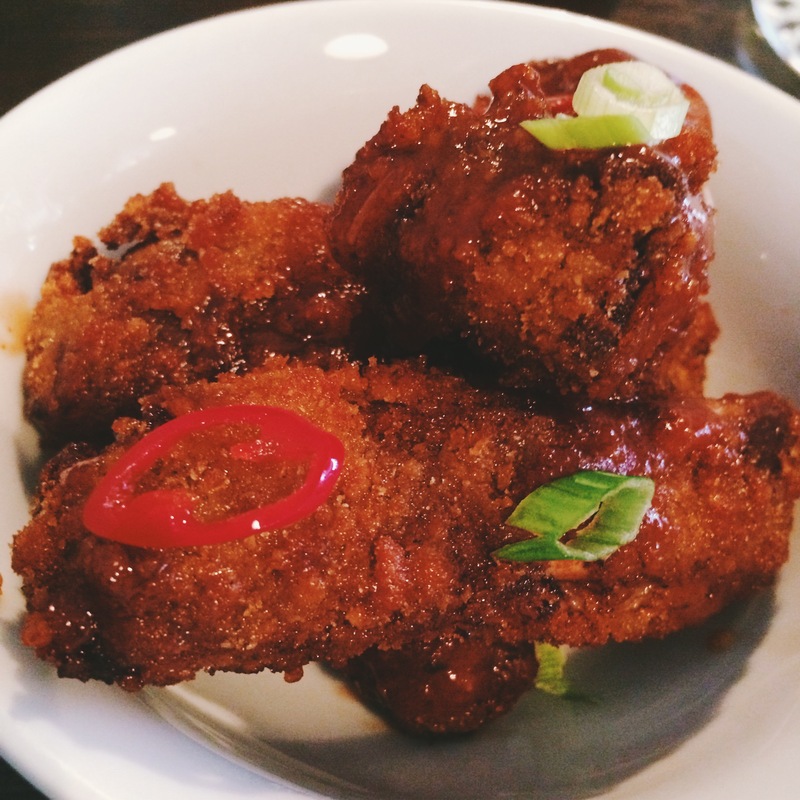 Specialising in all things Americana, their menu is short and sweet. They also have an excellent selection of craft ales. 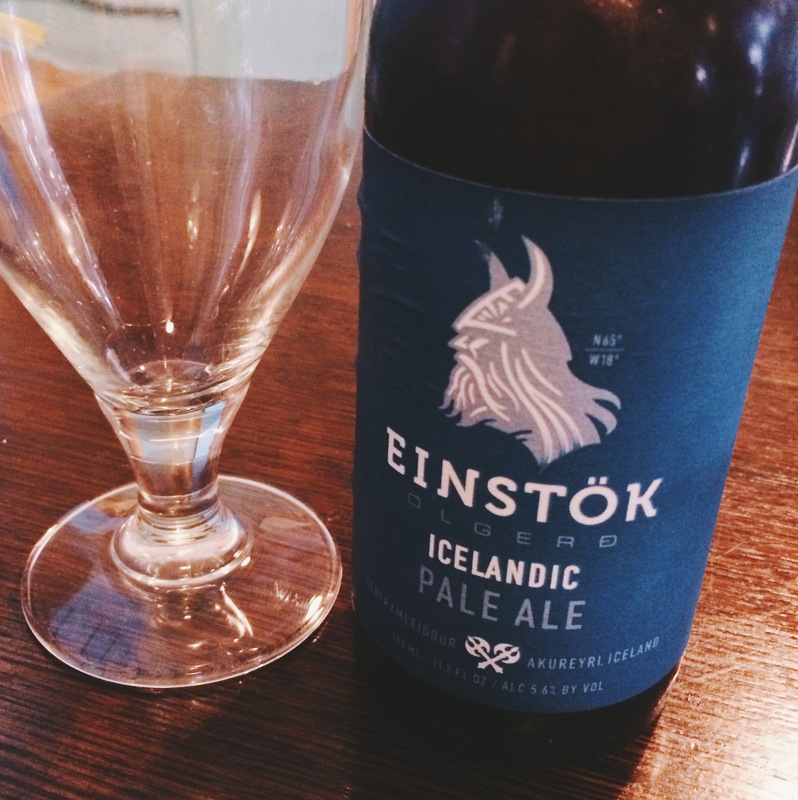 Alex managed to find his new favourite Icelandic ale. Again. This time it was the Pale Ale variety, which he enjoyed even more than the White Ale (which he tried in Bristol last weekend). 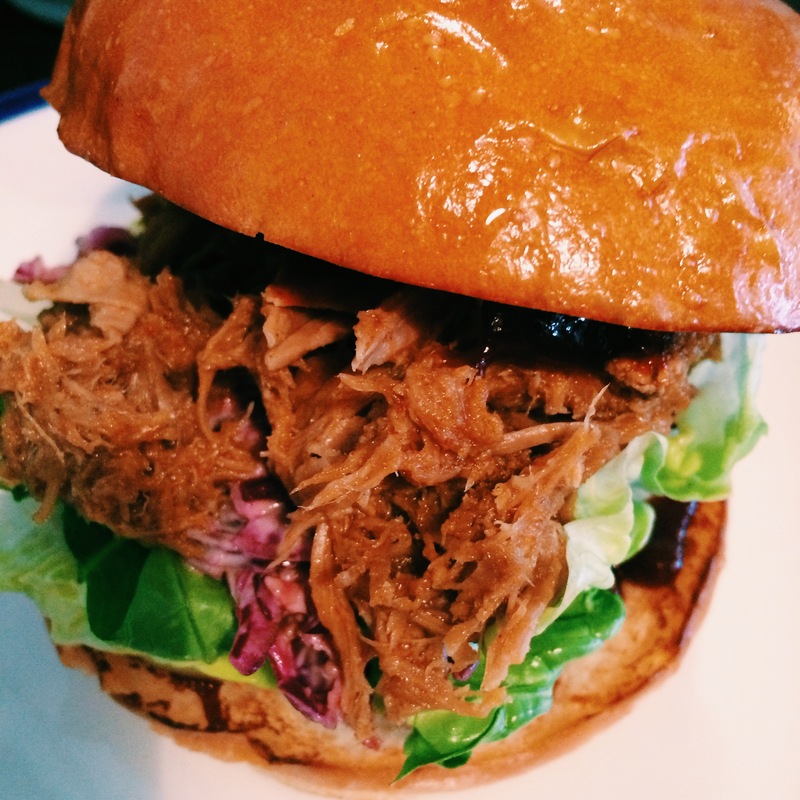 As for food, I ordered exactly what I had last time – a bun filled with pulled pork, fried pickle, lettuce and coleslaw. 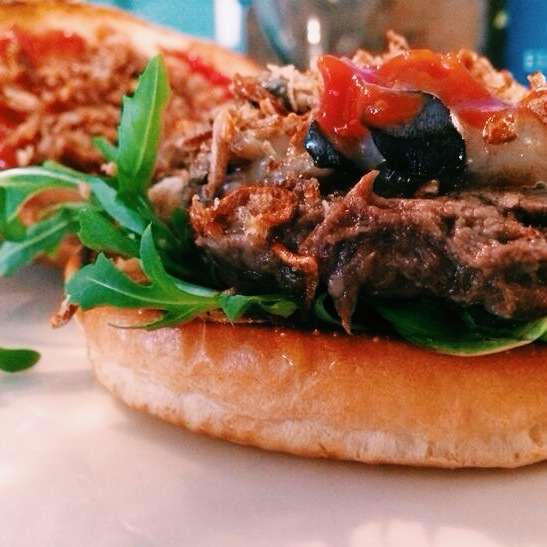 Alex had a bun stuffed with braised beef, pale ale onions, smoked cheddar, rocket and pickled chestnut mushrooms. Yum. The buns are fantastic, but the selection of sides is quite simply mouthwatering. We were well behaved and only ordered two. First up, the baby back ribs, complete with a bourbon glaze. I have no idea how these were cooked, but they were incredible. Needless to say, every bit of meat was stripped off the bone. We also ordered fries, which were delicious, but I was so engrossed in the ribs I forgot to take a photo. I did however, take a photo of the mirror. Go and have lunch at Bap & Pickle. And have the ribs. And then go back in the evening and sample their fine selection of craft beer and bourbon. And maybe some more of the ribs. 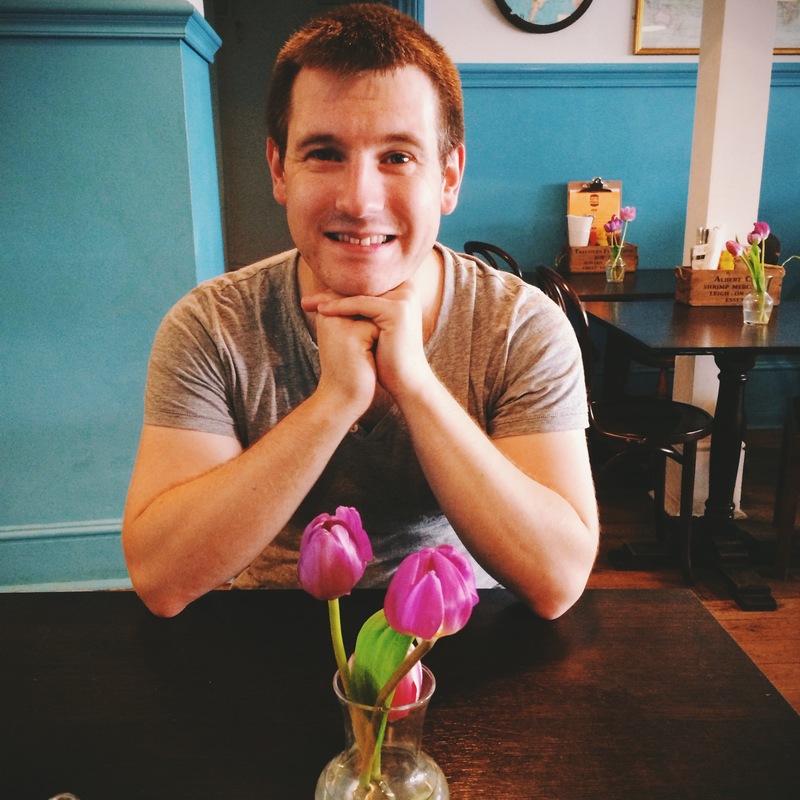 If you do, you’ll be as happy as…well, Alex.